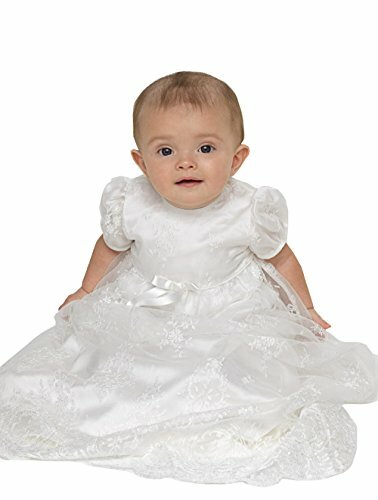 We can also custom made the dress for your baby,or you can send us the pictures of the dress you like, within 20 days of the receipt of your order; The real color may be a slightly different from the pictures shown on website caused by other factors suchtess of your monitor; Please contact us in time if you are not satisfied with our product or service, we will take full responsibility and do our best to solve it well for you.?????????. . . . . . . . .
Wash: Hand Wash, easy to clean. Use mild detergent and hang dry, but do not bleach, iron on low heat. Occasions: Soft, comfortable, breathable cotton lining perfect for casual wear in Autumn/Spring or Summer, great for special occasion like wedding party, holiday party, first communion, ceremony, baptism, birthday, pageant, artistic photo shoot etc. Customized size and color are also available. If you need a custom made size, please contact us and send us your measurement details.